A number of countries have ended some types of research with chimpanzees over the past decades. For example, the US National Institutes of Health announced in November 2015 that it would no longer support many types of chimpanzee research. In Europe, the fate of former research chimpanzees has depended upon a mix of private wildlife parks and zoos for the animals’ care and management. The outcomes in term of chimpanzee health and survival remain relatively unknown. In the US, the American public, via public entities, has legislated long-term support and substantial funding for the construction and maintenance of a facility dedicated to the exclusive care of chimpanzees retired from research. However, the outcomes for retired chimpanzees have been the source of public discussion and increasing concern. Buckmaster’s plea echoes those of others with concern that unrelenting political pressure on the NIH from groups opposed to animal research has resulted in decisions about chimpanzees that may not be in the animals’ best interests. In the aftermath of a series of decisions by the NIH over the past several years and increasing pressure by opponents of animal research, NIH has mandated the transfer of chimpanzees from their homes, established social groups, and dedicated caregivers to the Louisiana facility (See: Where should US chimpanzees live; Chimpanzee retirement: facts, myths and motivations; and What cost savings: a closer look a GAPCSA 2011). The result of the transfers has included injuries to chimpanzees as they are introduced into new social groups and to deaths of animals. As Buckmaster notes, for one recent group of 13 relocated chimpanzees, the result was a nearly 70% death rate for animals moved from dedicated research facilities with long-time experience in caring for the animals to the Louisiana sanctuary. As a result of a decades-old ban on breeding, all sanctuaries and research facilities housing chimpanzees are largely populated by aging animals. Yet, the number of chimpanzees that have died upon transfer from research facility to sanctuary contrasts with an average death rate for chimpanzees due to advanced age, health, or other causes for a given facility, an expected average of 3-4 individuals per year (http://www.gao.gov/products/GAO-16-392). 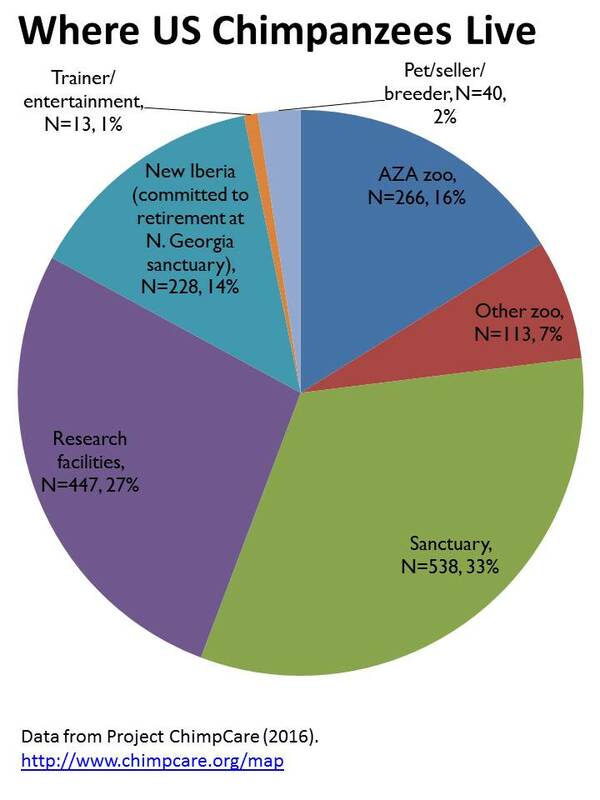 Research chimpanzees make up approximately 40% of the 1,650 chimpanzees estimated to live in the US, which includes chimpanzees not only in research facilities, but also sanctuaries, zoos, and other entertainment and breeding venues (see graph below). As recently announced, a large number of research chimpanzees housed at the New Iberia Research Center will retire to a private US sanctuary in northern Georgia. The remaining US research chimpanzees are under 1/3rd of all chimpanzees housed in the US. “In fact, many of our chimps would fare better if they were allowed to retire in place. And several of these precious creatures have already suffered and died because the NIH would not allow them to do so. The MD Anderson Keeling Center (MDAKC) in Texas has been home to the healthiest, happiest chimpanzees in America for decades. Their living quarters are comparable to, or better, than any US sanctuary, and none of these sanctuaries can compete with the level of care provided to chimpanzees at MDAKC. The MDAKC staff includes ten full-time veterinarians with a combined total of 92 years of experience caring for chimpanzees; 6 are specially boarded primate veterinarians, 3 are specially boarded veterinary pathologists, and 3 are specially certified to provide laser and acupuncture therapies to supplement traditional treatment regimens. There are also 22 specially trained, full-time technicians devoted to the chimps’ husbandry, health and behavioral needs, including 3 night technicians. MDAKC also has a full-service clinical pathology laboratory on site that allows for the immediate diagnosis and treatment of animals with health concerns. No US sanctuary is staffed or equipped to care for chimpanzees like MDAKC, not one! In fact, the sanctuary that the NIH is forcing us to send our chimpanzees to currently is not even equipped to carry out its own diagnostic lab work. This is concerning, given the advanced age of many research chimpanzees. Honestly, it would make more sense for Dr. Collins to retire the nation’s research chimps to MDAKC! Buckmaster’s comments should resonate with all of those concerned with ape well-being. The US public has provided considerable support meant to give these chimpanzees retirement care—on the assumption that such care would be in the animals’ best interests and protective of their health and well-being in retirement. The federal commitment to ape retirement is unusual compared to other countries.It also reflects broad support from the research community as well as the public. Chimp Haven, the first and only federal chimpanzee sanctuary in the US, was founded in 1995 by a NIH-funded behavioral scientist Dr. Linda Brent along with a group of primatologists and business professionals. Through federal legislation in 2000—the Chimpanzees Health Improvement, Maintenance, and Protection Act (CHIMP Act; 42 U.S.C. §§ 287a-3a)—a national chimpanzee sanctuary system was established and NIH was formally mandated to provide life-time funding for the research chimpanzees it retires. As a result, in 2002 the NIH awarded Chimp Haven a 10-year, cost-sharing contract in which the NIH provided roughly $19 million in total costs for retired chimpanzee care, as well as $11.5 million for initial construction of the sanctuary. Six years later, in 2008, federal sanctuary standards were established (see Fed. Register 73 FR 60423, Oct. 10, 2008: Standards of Care for Chimpanzees Held in the Federally Supported Chimpanzee System). These standards apply to Chimp Haven, but do not necessarily extend to other sanctuaries. Thus far, the federal investment in sanctuary retirement exceeds $30M. An analysis by the Congressional Budget Office (CBO) in 2012 estimated an additional $56M cost to retire and maintain federally-funded chimpanzees for a 5 year period (not the animals’ lifespan). A 2016 Government Accounting Office report determined that the range of per day care costs paid by NIH for a chimpanzee housed in the four facilities NIH supports was between a low of $41 and a high of $61, or between $15,000 – $22,000 per chimpanzee per year. Thus, NIH’s total support for care and maintenance of its 561 chimpanzees each year may be between $8,415,000 – $12,342,000. By extension, over a 5 year period, the cost would be between $42,075,000 – $61,710,000. NIH pays 75% of costs and Chimp Haven is required to provide matching funds via private donations and fundraising. Of critical note, the cost for chimpanzee care will also likely vary significantly with increasing medical and care needs as the population ages. “praised Chimp Haven’s facilities, but he said the stress of moving can take a fatal toll on older, more frail chimpanzees. Of the 13 chimps his facility had transferred this year to Chimp Haven, four died or were euthanized within the first three months, he said. Chimpanzees, an endangered species native to West and Central Africa, can live to 60 years in captivity. I don’t mean this as a criticism of Chimp Haven, but we uprooted them, took them from their family groups, we moved them cross country, we put them in unfamiliar settings with caregivers who didn’t know them, and four died,” Abee said. “We would not have anticipated those four to die if they had stayed here” (Walters & Knowles, 2015). From the perspective of the individual animal’s health and well-being, the type of facility in which he or she lives is only relevant insofar as it affects the provision, stability, and type of care, housing, and other aspects of daily life. In other words, whether the facility is a sanctuary, zoo, or research institute may be irrelevant if the standards for care, housing, and living conditions are substantively similar across settings. Ultimately, from the available data and the chimpanzee deaths that have occurred following their relocation to the federal sanctuary, it may appear that NIH and others advocating for transfer of the animals from their current homes and social groups to the sanctuary may be making a mistake. It is a mistake that is counterproductive to the animals’ welfare. It is one that appears to prioritize political considerations and appeasement of opponents of animal research over the interests of the animals themselves. In short, political expediency seems to be trumping animal welfare for chimpanzees and this serves no one well. Portions of this post are excerpted from Bennett, A.J. & Panicker, S. (in press). Broader Impacts: International Implications and Integrative Ethical Consideration of Policy Decisions about US Chimpanzee Research. Am J Primatology. Posted on July 14, 2016 July 14, 2016 by EditorPosted in News, Science NewsTagged animal research, Chimp Haven, Chimpanzee, MD Anderson, NIH, retirement, sanctuary. If the courts go along with this, then doesn’t the human life of a baby have his or her life be respected equally or higher than animals? The only time I encouraged a younger woman to get an abortion that she rejected and had her child. In 15 months he will be a doctor. He graduated with honors, only earned A’s from grade one through his graduation taking all advanced studies. He fought for our country and earned Sergeant with two stripes. He had two scholarships upon graduation but changed his college date after he saw the Twin Towers fall. With a six year delay, he showed me that a mother has no idea about the life of her fetus. Humanity should protect the mother and child, giving their baby a wonderful start to life. other wild animals are now on endangered list. As a veterinarian who cares for the chimpanzees at the Bastrop MDACC, now designated as the National Center for Chimpanzee Care (NCCC), I think we need to refocus this discussion on determining what is best for the animals. 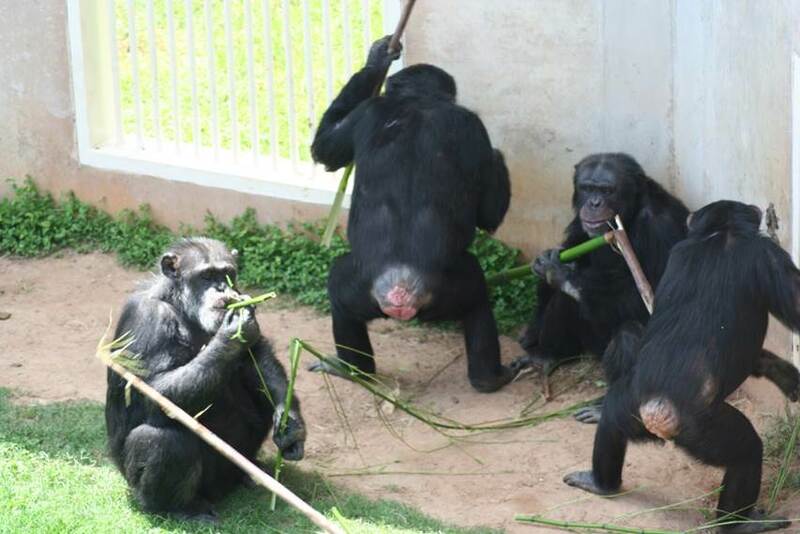 Both Chimp Haven and the NCCC have large and enriching housing facilities for chimpanzees, with the goal of giving them the best possible retirement. Our goals are the same, we love and care deeply for the chimpanzees we serve. That is why a 69% mortality in recently transferred animals is concerning. We need a joint commitment to look into what we can be doing better to help these amazing animals enjoy their retirement for as long as possible. Moving is stressful. Being introduced to new and unknown animals is stressful, can also lead to traumatic injuries, and some facilities have even experienced death. The NCCC has been recognized by the Chair of the CH Board of Directors as a topline facility. Why move chimpanzees from a wonderful facility to a place they do not know, with people that are unfamiliar, and new animals that may (or may not) be friendly towards the newcomers? We all want to be surrounded by our loved ones in our twilight years. Don’t the chimpanzees deserve that too? I find the reasoning for advocating a move to Chimp Haven quite strange. Based on the commentary above, and in the article, it seems like we all agree that both the “lab facilities” and the “sanctuaries” provide excellent care for the animals. Now, if we are concerned about the animals in question, then what is the rational for taking them out of environments that the have been kept in for years, in social groups that they have grown accustomed, and in facilities that provide top of the line care? You cannot advocate for “lab facilities” providing adequate care while at the same time demonizing them for being “lab facilities”. For better or worse, experiments on chimpanzees have ended. So keeping the animals in “lab facilities”, in an environment that provides excellent care and in social groups that they have known for most of the their lives seems like the best option for the animals – that is – if you actually care about the animal’s well being. I personally find it uninteresting whether Chimp Haven is an excellent facility. For those of you that posted simply to support “Chimp Haven” but without a context for what that means for the animals – perhaps you can actually add something meaningful to this discourse by focusing on that issue. I don’t think the article posted on SOR was misleading but rather simply stated the facts. We can debate those facts in terms of what caused the higher incidences of death but, as you indicate, there are no definitive data at this point in time. Further, you fully acknowledge that MDACC provides top of the line care for their chimpanzees. So why not simply acknowledge that quality care for chimpanzees, from the standpoint of both their physical and psychological health, can be provided at some research facilities? You seem to want and expect such recognition for Chimp Haven from the research community so I think it is fair to ask the same of you and the BOD for Chimp Haven. Also, is it fair to ask everyone why it is the case that captive chimpanzees currently residing in labs cannot be retired in situ? If the sanctuary community acknowledges that some facilities provide excellent care (which is what I took from your piece) , what is the financial and well-being rationale for moving them? For that matter, why is it that NIH has made the decision to only retire their chimpanzees to the Chimp Haven facility when other facilities, like ours in Des Moines, could accommodate some number of NIH-owned chimpanzees and provide excellent housing and care for them. None of these decisions make sense form a well-being and financial perspective. Let’s face the facts. Even in the best case scenario, given the retirement strategy that NIH has laid out, it will be many years before all their chimps are retired. So wouldn’t it better for chimpanzees, as a whole, if there were more options for their retirement rather than all the pressure to move them to Chimp Haven? You ended your article by stating that lab and Chimp Haven folks should be working together to make sound decisions about chimpanzee well-being. I agree with this entirely but, in retrospect, it seems clear that the decision to move these specific 13 apes was a poor decision. No blame is necessary but simply a recognition of this fact and a commitment to not letting it happen again. Well said, Bill. Really appreciate your input on this. As you said, it has been great to see articles based on facts. Let me add my voice here in support of ChimpHaven. There exist other great chimpanzee facilities, where apes are well taken care of, but ChimpHaven is most impressive given its wide open outdoor areas and large forested islands. There is really nothing like it, and we all know (and have photographic proof) how well the chimpanzees that we receive physically take to their new environment. I have been involved with ChimpHaven for many years, and believe that we offer the most enriched environment one can find outside of the species’ native habitat. Since we take in and house many individuals that have surpassed the median age at which captive chimpanzees die, we obviously expect mortality, but no reasonable expert would hold this against us. We are like an end-of-life care facility and have the death-rate to go with it. Indeed, whenever we are visited by experts without a stake in the research and housing debates that surround the species, we receive accolades and accreditations (see Tom Butler above). ChimpHaven is rightly the national sanctuary. It generates a significant portion of its own funding, and has an excellent track record of care for aging individuals. It appears the editor of Speaking of Research went through great efforts to report the facts and the reactions of individuals who have a genuine interest in animal welfare and the wellbeing of the chimpanzees in question. The biomedical research community has for a long time been “unfairly characterized” when it comes to the care and use of chimpanzees and other animal models. There has been a lifetime of “demonizing” committed animal care givers and veterinarians who dedicate their life time to the profession and the animals under their care. I agree with the last commenter. If we truly care about the welfare of these and other chimpanzees we should spend less time “demonizing”, on both sides. It’s very good to know that there is increased interest in animal welfare from groups like NABR and SOR. Having worked at MDAKC, I concur that the chimpanzee management and housing there is the topline in the industry and I have long advocated for ways for the staff at Bastrop to work in synchrony with Chimp Haven to ensure the best outcomes for the chimpanzees. 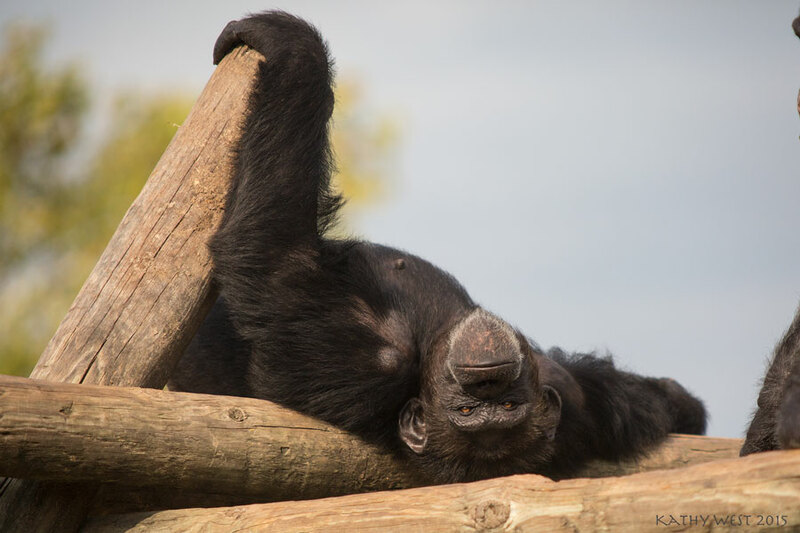 Chimp Haven was established over a decade ago at the National Chimpanzee Sanctuary as a result of extensive deliberation by various governmental bodies and expert groups. Many of these same groups took part in the extensive discussions that led to the broadly-supported decision to retire all federally-owned chimpanzees to sanctuary. Unfortunately, the tone of this article unfairly characterizes Chimp Haven and jumps to conclusions that the chimpanzees may be better off staying in the laboratory setting rather than being retired to sanctuary. Commenters correctly point out that there has to be less blaming and mischaracterizing and that should hold true in both directions. I have nothing bad to say about Bastrop or the care they have provided to the chimpanzees that live there. But I also must voice my ardent support of Chimp Haven and the amazing work they do to care for chimpanzees who come to them in the twilight years of their lives. As difficult as it is to discuss, death is very much a reality at an “end of life” facility such as a sanctuary. These chimpanzees may well have been well cared for by care and enrichment staff, but they have also been subjects of medical research which has in some cases has had very real health consequences. The degree to which this research is justified has undergone considerable debate but NIH has decided those programs are not necessary now and that these chimps deserve a life in which their wellbeing is the only priority. Sanctuaries, like laboratories, are not without their critics. However, objective readers of these facts must also realize the overtly misleading nature of comparing mortality rates of a small sample of aged chimps to overall death rates for a population. Chimpanzees that arrive at Chimp Haven are very often past the median life expectancy for the species (the average age of those chimpanzees from Bastrop that died at Chimp Haven was 42 years…. well over the median life expectancy for the species). 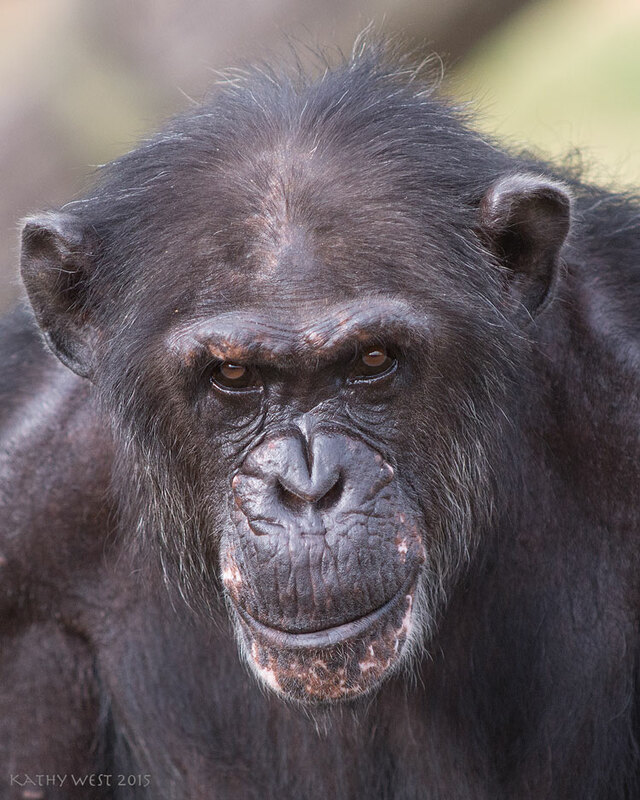 These deaths were sad… and staff at both Bastrop and Chimp Haven mourned them. But they were neither the direct result of transfers nor were they completely unexpected given the demographic context of the species or the health status of these individuals. If we truly care about the welfare of these and other chimps living in labs and sanctuaries, then we have to spend less time demonizing through biased analyses and more time working together to make sound decisions. I absolutely agree that we need to stop demonizing one another on this topic. Both facilities have a caring staff and the best intentions for their chimpanzees. However, in the same comment that you state that we should not be demonizing these facilities you also state that the 9 chimps that have died from the most recent transfer from the Keeling Center to Chimp Haven most likely had heath issues from use in research. In reality, many of those chimps were never used in medical research, ever. Implying that they were is further demonizing the Keeling Center which you have stated provides excellent, top of the line care. We all want what is best for these chimpanzees and hopefully we will be able to work together to do what’s best for them moving forward. I am writing to offer strong support for Chimp Haven, Inc., a private non-profit sanctuary for chimpanzees in Louisiana. They have a contract with NIH to provide retirement for federally-owned chimpanzees. This sanctuary has recently been mentioned in several articles and blog comments. I am a retired, board certified, laboratory animal medicine veterinarian with nearly 50 yrs of experience with chimpanzees. This experience was gained by working with multiple biomedical research laboratories and sanctuaries, all having colonies of chimpanzees. One of those sanctuaries was Chimp Haven. I have been with Chimp Haven since its inception in 1995, to include helping design and build the facility, serving on the Board of Directors for about 18 yrs (several years as Chair), serving for a brief period as the Attending Veterinarian and now serving as a Trustee. I am extremely proud of Chimp Haven and personally know the care of the chimps residing there is excellent. But do not just take my word for this. Within the first year of operation Chimp Haven was accredited by AAALAC, International. AAALAC has made re-visits every three years since then and each time awarded Continued Full Accreditation. This accreditation is exactly the same as all the labs with chimpanzee colonies as well as hundreds of biomedical research labs worldwide. Chimp Haven is the only sanctuary accredited by AAALAC. This indicates that Chimp Haven’s animal care and use program is comparable to those programs at research labs. Chimp Haven is also accredited by the Global Federation of Animals Sanctuaries which accredits sanctuaries. Since CH has a contract with NIH they have a Letter of Assurance from OLAW, so must comply with the Guide for the Care and Use of Laboratory Animals and the PHS Policy on the Humane Care and Use of Animals. Since CH started receiving NIH funds, NIH has sent several “teams” to Chimp Haven to assess the sanctuary’s animal care and use program. These teams have been composed of NIH and OLAW staffs as well as experts outside of NIH. The results of all of these visits have been very positive with few suggestions for improvement. Additionally, Chimp Haven is licensed by the USDA under the Animal Welfare Act Regulations and is inspected by the USDA on an annual basis, just like the labs are. Chimp Haven must also comply with the Standards of Care for Chimpanzees Held in the Federally Supported Chimpanzee Sanctuary System (42 CFR Part 9). This is a federal regulation covering the care and use of chimpanzees in federally supported sanctuaries. At this time Chimp Haven is the only such sanctuary. The labs do not have to comply with this regulation since they are not sanctuaries. I put my faith in the assessments made by these independent agencies (AAALAC, USDA, OLAW and NIH) rather than by individuals who either have briefly visited Chimp Haven or have not visited at all. Here say is not allowed in our legal system and should not be in the scientific community. All of the staff at Chimp Haven are experienced and are compassionate about caring for the chimpanzees. The veterinary staff is composed of two very experienced veterinarians and two veterinary technicians. The behavior staff is also very capable; the senior behaviorist has over 20 yrs working with chimpanzees with some of that time spent at a biomedical research lab. The caregiver staff is extremely well trained. In fact, the training program has received commendations from AAALAC. And, like almost all people who are fortunate to work with chimpanzees, the CH staff is passionate about providing the absolute best care for their chimpanzees. Additionally, I feel the leadership of Chimp Haven, to include the President and senior staff as well as the Board of Directors, is excellent. The BOD includes five doctorate level behaviorists and three board certified veterinarians, all with considerable experience with chimpanzees. The rest of the Board members have experience in banking, financial planning, animal protection and non-profit organizational management. This Board is very involved in providing direction and accountability for Chimp Haven. In my career I have had the pleasure of visiting every major chimpanzee colony in the US and have always been impressed with the people who work with chimps. It takes a special person to provide care for these very special animals. 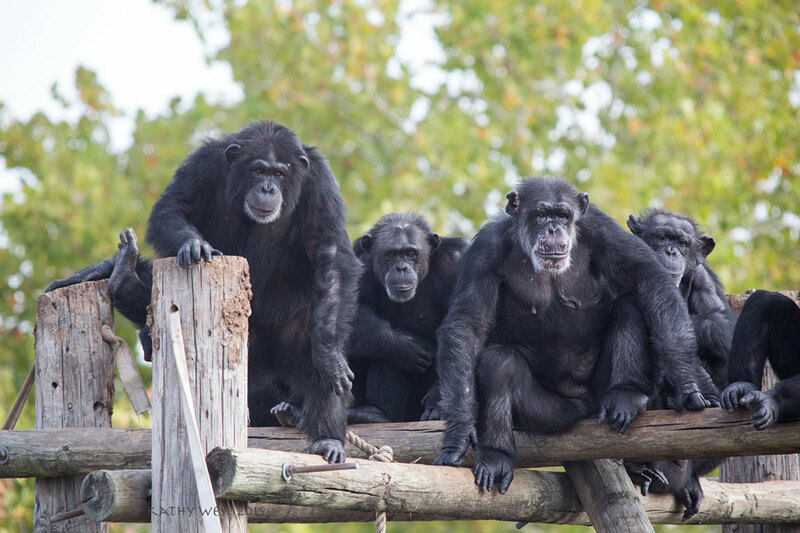 I am proud to have known and worked with so many of these chimps and their caregivers. In closing I want to reiterate that I know Chimp Haven is an outstanding organization fully dedicated to providing care for chimpanzees no longer needed in research. If there are people ready and willing to step up to provide sanctuary for research chimps in the US, why are Labs fighting it? Chimps deserve to get out of Labs, because a Research Lab is not a place for a chimpanzee to live. Labs can, and will, and have to, work with sanctuaries, for the benefit of the chimpanzees. Change is hard, and salaries are important. Ultimately what is best for the chimps, MONEY ASIDE, should be the outcome. Let go, let live. Egos can recede, and we can provide dignity to chimpanzees. If that is what we truly want. We all, deep down inside, know what the chimps want. It’s simply the golden rule. Jenny, please become informed – “labs” are not run by uncaring staff who do care about the “dignity” of the animals. The “sanctuaries” facilities are copies of the MDAKC facility and the care protocols used by sanctuaries are modeled after those developed by the “labs” – the stereotypic picture that HSUS and other similar groups use for fund raising went away a long time ago. I was employed at a Primate Sanctuary, and we did not need an IACUC to operate. Ten years ago, I took care of chimps, in their best interest, full-time. I also studied Laboratory Animal Medicine. I saw what Lab Animal Technicians do 9 to 5, and it was something I could not do. I would love to believe that things are different in labs now, but I question, “why would they be?”. Whether used for breeding or for research, it is institutionalized care. With a GPA of 3.8 I would have been paid over twice as much starting salary if I had been employed at a research lab. To me, monetarily, working at a sanctuary was a small sacrifice. Each individual I befriended, in their safe place, was worth so much more than I could ever hope to have gained from personal financial benefit. The chimps and monkeys in my care at the sanctuary thrived, and they continue to do so, to this day, “protocols” be damned. It’s time to retire the chimps, and retire our old ways of exploiting them for profit. I am sorry, but something has to give. Evolve! A couple of years ago, I toured the chimpanzee facilities at MDAKC with one of the animal care people. I was totally blown away when she told me that, when animals were transferred from the Primate Foundation of Arizona to Bastrop several years earlier, she (and at least one other person) moved to Bastrop to be able to continue to care for the chimpanzees that had been under her care at PFA. That level of commitment is truly remarkable, and it really annoys me to have research institutions that obviously do a spectacular job of care, vilified in the way that they sometimes are, when they have people that are so dedicated that they will uproot their personal lives to move with their animals. I personally visited Chimp Haven with a shipment of chimps that were being forced there by NIH from the Keeling Center. These animals had been provided state of the art behavioral and medical care at the Center were thrust into a minimal level care situations. They were unprepared at Chimp Haven to handle simple medical care that had been routinely provided at the Keeling Center. The supposed intent of NIH, doing the bidding of HSUS and similar organizations, to improve their care and save federal dollars, did neither, at the expense of the welfare of these animals. As a professional with over 30 years of caring for great apes, I had to hold my emotions and hope for the best for the animals. My worst fears have unfortantly become a reality for these animals. Thanks for this important article, and for the information. It is crucial to focus on the long-term needs of these and all chimpanzees and to accurately assess and anticipate what can happen when they are moved like this. Misperceptions about the “goodness” of sanctuaries and the “badness” of labs need to be addressed, but as you noted, this does not have to involve blame. Rather, the hope is that there can be a more careful consideration of what the real environments are like that these chimpanzees currently live in versus the misperceptions of “lab” housing, and also what the real implications might be from moving them elsewhere.